Pistia stratiotes is a freshwater invasive weed that is found throughout the tropics and subtropics. It is a free-floating plant that is capable of forming dense mats on the surfaces of lakes, ponds, rivers and other bodies of water. Pistia stratiotes is a popular garden pond plant and is often spread by the dumping of aquarium or ornamental pond plants. Fragments, or whole plants, can be spread via boats or fishing equipment from an infested area to a clean body of water. Glazier (1996) describes P. stratiotes as a free-floating perennial of quiet ponds. It is stoloniferous, forms colonies, and has rosettes up to 15cms across. It has long, feathery, hanging roots. Its leaves are obovate to spathulate-oblong, truncate to emarginate at the apex, and long-cuneate at the base. Leaves are light green and velvety-hairy with many prominent longitudinal veins. 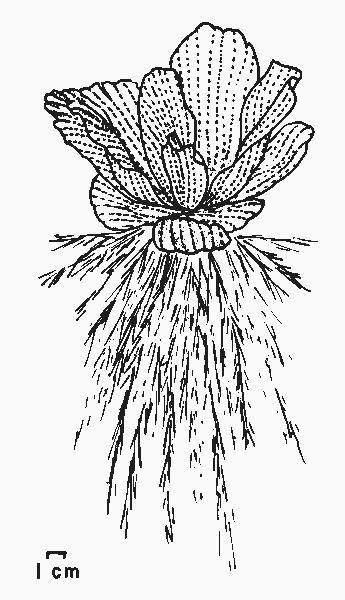 Inflorescences are inconspicuous and up to 1.5cms long. Flowers are few, unisexual, and enclosed in a leaflike spathe. According to Rivers (2002), P. stratiotes is a popular ornamental plant, used in ponds and aquariums. Rivers (2002) notes that for P. stratiotes to survive, it requires a wet, temperate habitat. It is usually found in lakes and rivers, however, it can survive in mud. P. stratiotes can endure temperature extremes of 15° C (59° F) and 35° C (95°). The optimal growth temperature range for the plant is 22-30° C (72-86° F). P. stratiotes prefers slightly acidic waters (6.5 - 7.2 pH) and moderate hardness (5 - 20 KH). Rivers (2002) states that P. stratiotes reproduces vegetatively and by seed. Vegetative reproduction involves daughter vegetative offshoots of mother plants on short, brittle stolons. 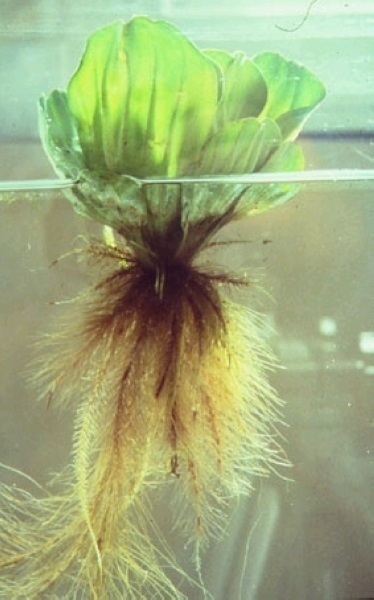 Rapid vegetative reproduction allows water lettuce to cover an entire lake, from shore to shore, with a dense mat of connected rosettes in a short period of time. P. stratiotes can spread from broken-off pieces or whole plants being moved on boats or fishing equipment from an infested to a clean body of water (Rivers, 2002).According to Ramey (2001), P. Stratiotes continues to be sold through aquarium supply dealers and through the internet. Rivers (2002) cites that dumping of aquarium or ornamental pond plants is often the means of spread for P. stratiotes. Recommended citation: Global Invasive Species Database (2019) Species profile: Pistia stratiotes. Downloaded from http://www.iucngisd.org/gisd/species.php?sc=285 on 19-04-2019. According to Rivers (2002), P. stratiotes can inflict a severe impact on the environment and economy of infested areas. 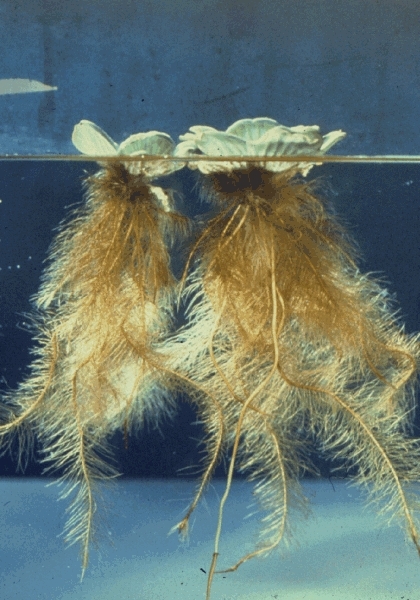 The dense mats created by connected rosettes of the plant lead to the majority of problems encountered with water lettuce. These mats can have a negative economic effect by blocking waterways, thus increasing the difficulty of navigation and hindering flood control efforts. Mats of P. stratiotes can also disrupt natural ecosystems. They can lead to a lower concentration of oxygen in covered waters and sediments by blocking air-water interface and root respiration. Extremely thick mats of P. stratiotes can prevent sunlight from reaching underlying water. The cumulative effect of these negative characteristics of the plant is a loss of biodiversity in invaded habitats. P. stratiotes mats can also serve as a breeding place for mosquitoes. Preventative measures: A Risk assessment of \r\r\nPistia stratiotes for Australia was prepared by Pacific Island Ecosystems at Risk (PIER) \rusing the Australian risk assessment system (Pheloung, 1995). The result is a score of 18 and a recommendation of: reject the plant for import (Australia) or \r\r\nspecies likely to be a pest (Pacific). \r\nPhysical: The most common physical control method is raking or seining it (using a large fishing net) from the pond’s surface. In the United States, raking is done by mechanical harvesters. The plant is then removed from waterways to the shore where it is cut up by chopping machines and disposed of by spraying across the water (Ramey, 2001). \r\nChemical: Chemical control methods that have been successful in treating P. stratiotes include the herbicide endothall, which can act quickly and kill all plant cells that it contacts. \r\nBiological: According to Rivers (2002), water lettuce leaf weevil (Neohydronomus affinis) is a native species of South America and was first introduced into Australia in the early 1980's for biocontrol of P. stratiotes. Additional releases of this weevil for research are currently being conducted. These weevils have a very short life cycle (approximately 30 days), which allows for quick establishment of populations. Adult weevils feed on the leaf, while the larvae attack the inside of the leaf. The other effective method of controlling P. stratiotes is the introduction of the water lettuce leaf moth (Spodoptera pectinicornis). The moth is native to Thailand and was imported into Florida for the biological control of water lettuce. The moth has a very short life cycle (approximately 35 days), with the larval stage lasting 17-20 days. The adult moth does not feed on water lettuce, however, moth larvae are capable of inflicting significant damage to P. stratiotes. The larvae are fairly large, which means that fewer larvae can provide a greater effect. Informations on Pistia stratiotes has been recorded for the following locations. Click on the name for additional informations. Champion, P. Clayton, J. and Rowe, D. 2002. Alien Invaders Lake Managers� Handbook. Ministry for the Environment. Gee II, David E., pers. comm. 2006. Wildlife Biologist, Guam Division of Aquatic & Wildlife Resources and Guam team member of the Pacific Invasives Learning Network (PILN). Hilhorst, M. Water lettuce . Summary: A report on how P. stratiotes was eradicated from the two sites where it was deliberatly planted. Mack, R. N and W. M. Lonsdale., 2002. Eradicating invasive plants: Hard-won lessons for islands. In Turning the tide: the eradication of invasive species: 311-318. Veitch, C.R. and Clout, M.N.(eds). IUCN SSC Invasive Species Specialist Group. IUCN. Gland. Switzerland and Cambridge. UK. Summary: Uses Clidemia hirta in Hawaii as an eradication case study. Clidemia is in the Melastomataceae and somewhat similar ecologically to miconia. Eradication case study in Turning the tide: the eradication of invasive species. National Pest Plant Accord, 2001. Biosecurity New Zealand. Summary: The National Pest Plant Accord is a cooperative agreement between regional councils and government departments with biosecurity responsibilities. Under the accord, regional councils will undertake surveillance to prevent the commercial sale and/or distribution of an agreed list of pest plants. Summary: Ecology, synonyms, common names, distributions (Pacific as well as global), management and impact information..
Rivers, L. 2002.Water Lettuce (Pistia stratiotes). University of Florida and Sea Grant. Summary: A detailed report on P. stratiotes, including information on biology, ecology, distribution and management methods. 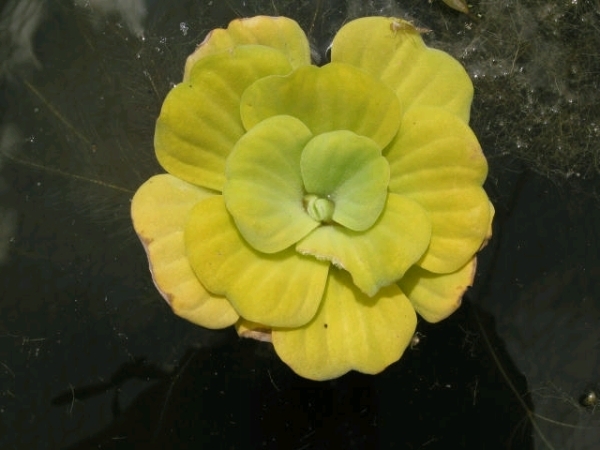 Available from: http://www.iisgcp.org/EXOTICSP/waterlettuce.htm [Accessed 16 July 2003]. Summary: A database of Swaziland s alien plant species. Varnham, K. 2006. Non-native species in UK Overseas Territories: a review. JNCC Report 372. Peterborough: United Kingdom. Summary: This database compiles information on alien species from British Overseas Territories. Conservatoire Botanique National De Mascarin (BOULLET V. coord.) 2007. - Pistia stratiotes Index de la flore vasculaire de la R�union (Trach�ophytes) : statuts, menaces et protections. - Version 2007.1 (mise � jour 12 juin 2007). Summary: Base de donn�es sur la flore de la R�union. De nombreuses informations tr�s utiles. Fenner, B. UNDATED, Water Lettuce, Pistia stratiotes. Wet Web Media. Summary: A report that provides information on the history of P. stratiotes. Florence J., Chevillotte H., Ollier C. & Meyer J.-Y. 2007. Pistia stratiotes Base de donn�es botaniques Nadeaud de l Herbier de la Polyn�sie fran�aise (PAP). 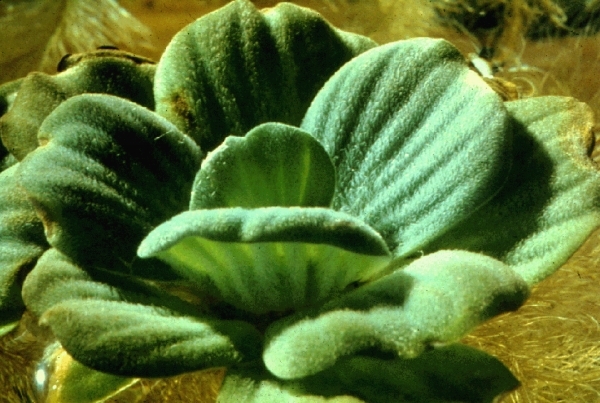 Glazier, K. 1996.Pistia stratiotes L.. Ecology and Evolutionary Biology Conservatory. Summary: A brief description of P. stratiotes. Summary: Information on plants that pose threats to natural resource areas in Florida. Lompo-Ouedraogo, Z., pers.comm., 2005. From; Especes Exotiques Envahissantes: Etat Des Lieux Au Burkina Faso, a report to the Group of Experts on Invasive Alien Species meeting in Palma de Majorca (Spain), 9-11 June 2005. Ramey, V. 2001. Pistia stratiotes. University of Florida. Summary: A fact sheet on P. stratiotes. WQH (Water Quality Home). 2003. Water Hyacinth Washington State Department of Ecology. Summary: A report on water hyacinth, and it s similarity to P. stratiotes. Available from: http:// www.ecy.wa.gov/programs/wq/plants/weeds/hyacinth.html [Accessed 17 July 2003]. Expert in the botany of French Polynesia and the Pacific Islands, and has worked on ecology and biological control of Miconia calvescens in French Polynesia.